An easy coffee hack to bring the coffee shop into your kitchen. 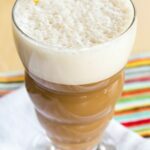 Blended Iced Coffee is a quick and easy way to bring the coffee shop into your kitchen for a fraction of the cost. This easy coffee hack makes your standard iced coffee a little extra special while still fitting in to your lifestyle. Disclaimer: This is a sponsored conversation written by me on behalf of Silk and So Delicious Dairy Free Creamers. The opinions and text are all mine. Did you ever have one of those Mondays that were just soooo Monday? Like even Monday-er than a normal Monday? Basically you knew the minute that you woke up that it was going to be the Monday-est Monday of all Mondays? Yep, that was my Monday. I mean, even typical mornings are a little hectic in my house since I have to get the boys up and fed and off to preschool and back home and off to the bus stop, ensuring that all lunches and forms and library books and, that morning, pieces of styrofoam for a science project are where they need to be. But that Monday morning everything seemed just a little bit off. My hubby was recovering from shoulder surgery, so he had been sleeping in the basement on the recliner. That meant no working out in the basement like I normally do. Not that I had the energy after taking care of him AND the kids AND all the chores AND so much laundry AND some work I needed to get done all weekend. Needless to say, I was definitely a little sluggish. The boys woke up early all weekend, so of course this morning they slept late and felt rushed, which made them, like, triple cranky and quadruple slow. And then there was the “eyelash in the eye incident” that made the already-grumpy four-year-old completely lose his mind. On a normal day, my ten minute reprieve is the ride to preschool. This particular Monday, I was counting the seconds till I could herd us all out the front door and into the minivan. Why? Well first, once I have the boys buckled up, I feel like I won the daily battle of getting everyone out of the house on time, so it’s time for a little pat on the back. Then I put on some music we all like, and they just kick back for a few minutes. And that’s when I finally get my coffee. I was never a big coffee drinker until I discovered cold brew iced coffee. Yes, even on the most blustery days of winter, I still filled my cup with cold brew. And then I discovered a little trick of whizzing it up in the blender make it frothy and fun and feel like a total indulgence. That drive to preschool is like a mini vacation everyday! Blended Iced Coffee may taste like an extra-special coffeeshop treat, but you can have it ready in less time than it takes to place your order and for a fraction of the cost. Plus when you make your own coffee drinks, it totally fits into your lifestyle, whether that’s dairy free or just a lighter option. Just make a batch of cold brew, buy a bottle, or brew some extra strong coffee the night before and chill it in the refrigerator overnight. Then it’s just a matter of adding it to your blender with your favorite Silk Dairy Free Creamer and a little ice. 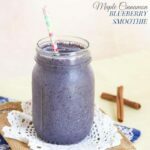 We’re not looking to make a smoothie-like, frappe-style drink. This is just a little ice to make it nice and frosty and help it get nice and foamy on top. Because it’s all about the foam! 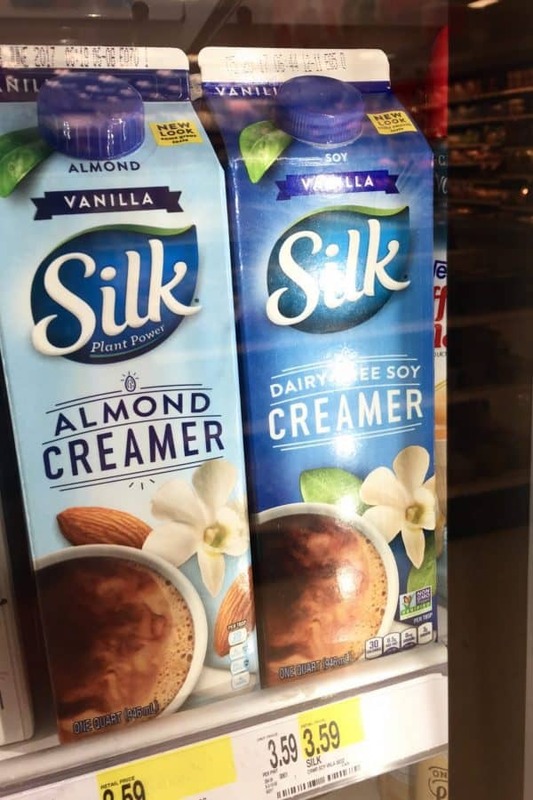 That’s where you can find Silk Dairy Free Creamers in flavors like Vanilla Almond, Hazelnut Almond, and my personal favorite, Caramel Almond. 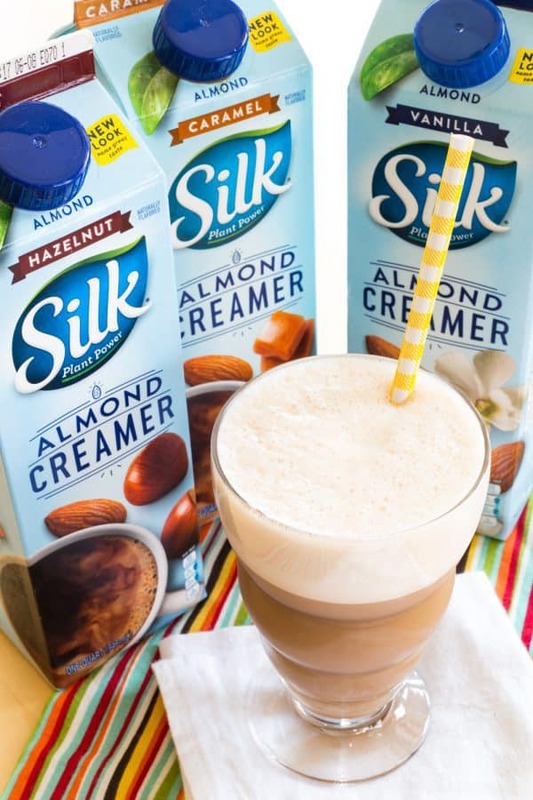 You won’t find any other almondmilk in my coffee and smoothies than Silk, so when I saw the Almond Creamers in the refrigerator case at Target, I knew I needed to try it in my blended iced coffee. I typically make a big batch of cold brew every week by soaking about five ounces of ground coffee in about 4 quarts of cold water for around a day or so before filtering off the coffee grounds and storing it in the fridge. But if you can’t wait a day for your Archer Farms coffee to brew, you can also pick up their Cold Brew Coffee Concentrate while you are at Target. And before you head to Target to pick up your coffee and creamers, make sure you download and use Cartwheel app to get 15% off on Silk and So Delicious creamers from April 9th to May 6th, 2017. 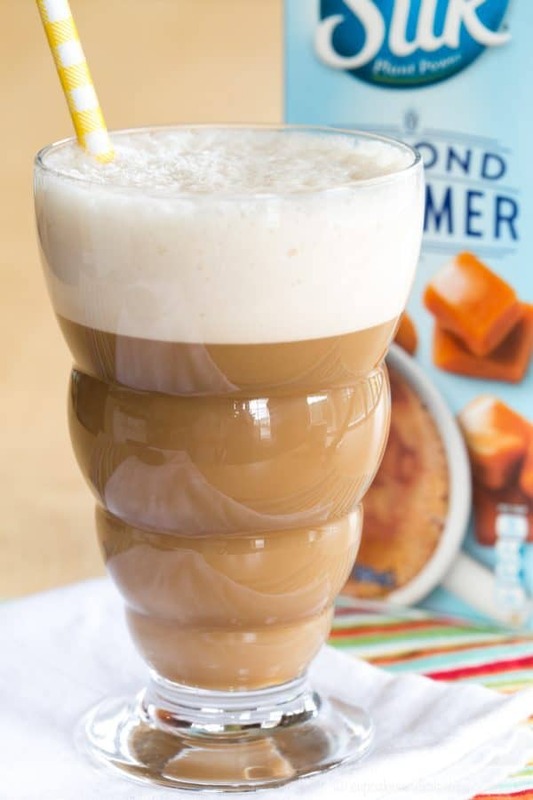 Looking for breakfast to enjoy with your Blended Iced Coffee? 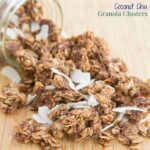 My friends also have some delicious dairy-free breakfast recipes. Lauren Kelly Nutrition makes you think you are having dessert for breakfast with White Chocolate Raspberry Chia Pudding. There’s several versions to try of Wonky Wonderful’s No-Cook Overnight Oats. 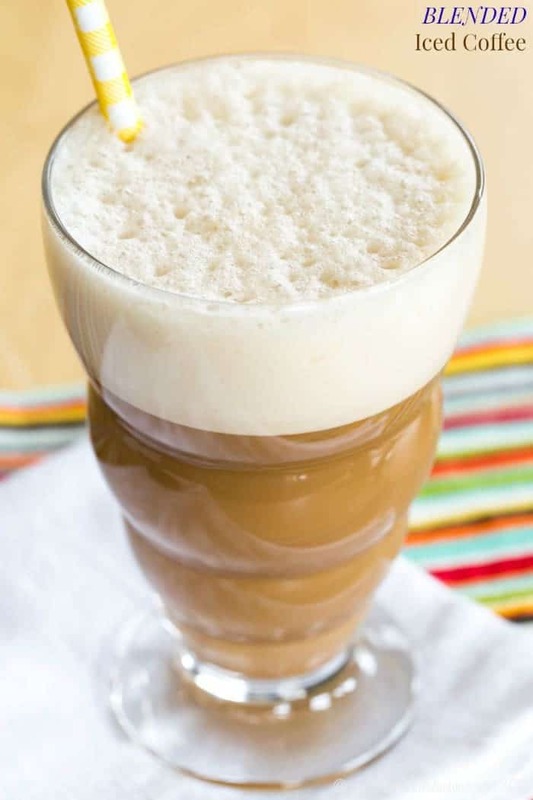 And maybe you need to warm up after your iced coffee with this Cashew Coconut Hot Chocolate recipe from Taste and Tell. 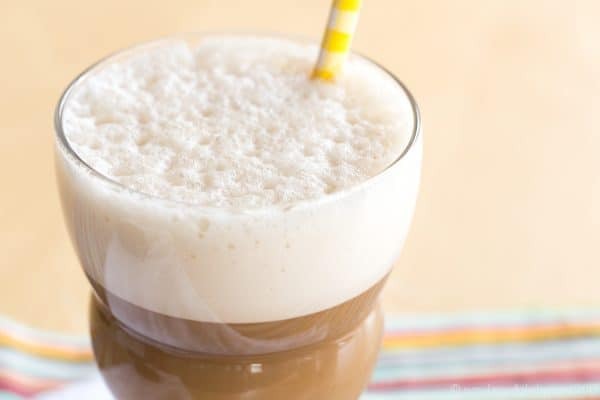 Combine the coffee, creamer, and ice in a blender (high-powered blender recommended, but not required) and blend for a minute or two until smooth and frothy. Sweeten to taste if needed. You can make cold brew by soaking about 5 oz. of ground coffee in about 4 quarts of water overnight, then straining out the coffee grounds, or purchase Archer Farms Cold Brew Coffee Concentrate and dilute as per package directions.